Immigration and Customs Enforcement officers busted a New York ring manufacturing counterfeit Nike Air Jordans this week, making five arrests. 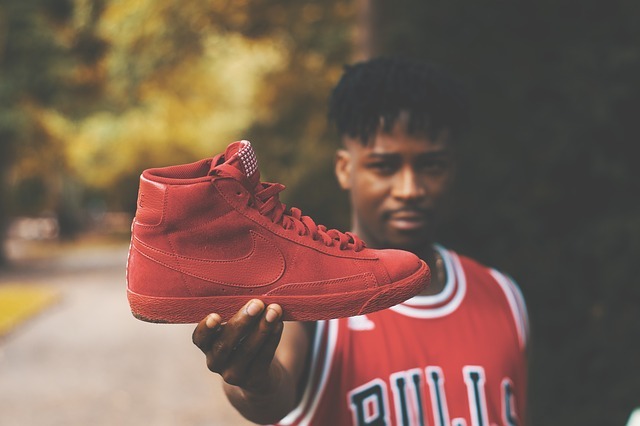 The five individuals were discovered attaching counterfeit Nike-trademarked logos to shoes made to resemble various Air Jordan styles that were imported from China. All told, the gang is accused of importing more than 380,000 counterfeits – shipped via at least 42 containers – between January 2016 and July 2018. The knock-offs were discovered by federal agents at warehouses in New York. Since January 2018, investigators inspected 27,000 pairs of sneakers whilst gathering evidence to charge Miyuki Suen, Jian Min Huang, Songhua Qu, Kin Lui Chen and Fangrang Qu with trafficking in counterfeit goods. Each defendant faces a maximum potential sentence of 20 years in prison. The sneakers were generic but designed to look like the genuine shoes, imitating their colour and construction but without trademarked logos, presumably to reduce the risk of interception by customs. ICE says the defendants collected these shoes in Newark before shipping them to Brooklyn and Queens for storage, adding the counterfeit Nike logos and selling them on to US consumers. Raids on the premises revealed thousands of the counterfeit Air Jordans, bulk fake Nike logos and the machinery to affix them. Footwear accounted for 12 per cent of Customs and Border Protection (CBP) seizures last year, the same amount as was seized in 2016. Apparel and accessories top the list at fifteen per cent of seizures for 2017, and twenty percent for 2016, with footwear in the top three for most seized counterfeit products. Nike Air Jordans are a perennial target for counterfeiters, but the latest incident is notable for the sheer volume of fakes being trafficked. Earlier this year, CBP officers intercepted nearly $55,000 worth of counterfeit pairs of Air Jordan sneakers which arrived in seven shipments from China near Washington Dulles International Airport.